Here’s proof that I’m crazy. Earlier this week I announced Open Our Eyes: Seeing the Invisible People of Homelessness, my project to support Mark Horvath and InvisiblePeople.tv. It launches November 9. Last night I launched a Kickstarter campaign to publish this year’s National Novel Writing Month effort, Lost & Found in Como Park. As if my life wasn’t crazy enough. So here’s the deal: I love Como Park. It’s this great park we have in St. Paul. It’s got a free zoo and the conservatory and trails and statues. It’s more than 100 years old, so there’s history everywhere you look. It’s great place to take your family. I’ve decided to set this year’s NaNoWriMo story in Como Park. I want to use the locale and the history—and more than that, I want to bridge fiction and reality. I want to place a memorial brick in Como Park for a fictional character from the book. 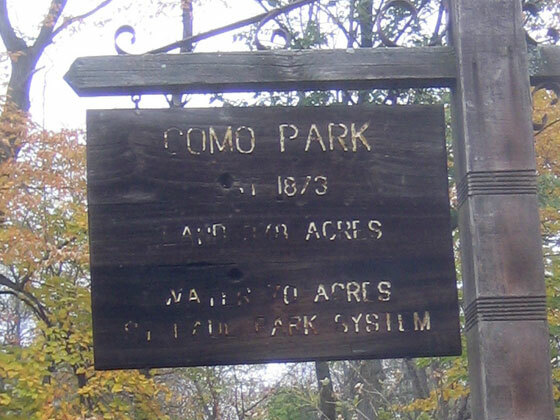 It’s a celebration of Como Park and a way to make the story real. So if we can hit the $1,000-goal then we’ll publish the book and put a brick in Como Park and make this thing happen. Kickstarter works on pledges, so if we don’t hit the goal, you don’t have to pay. I’ll write the book either way, but publishing the book and placing the brick are dependent on getting enough pledges. If we go past the goal we can make the book better. There are all kinds of rewards for making a pledge and backing the project. I tried to make them low cost and high fun—so you’re getting a deal, not being charged a premium. For $10 you can get a copy of the book (I won’t be able to sell it that cheap, so you’re getting a deal). We’re also giving away a bunch of Como Park souvenirs that I’m going to work into the story. You can also be written into the story. 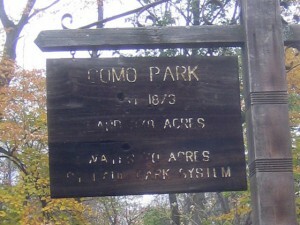 Or you can get a personal tour of Como Park. Lots of fun stuff. I’m hoping this will serve as some extra incentive while I’m writing the novel and a fun way to share the story and Como Park with all of you. The novel writing starts on Monday. You’ve got until the end of November to pledge. Want to join me?